The Democrats have seriously overstepped with the Jussie Smollett affair, so much so, in fact, that cracks are showing in the anti-Trump facade. 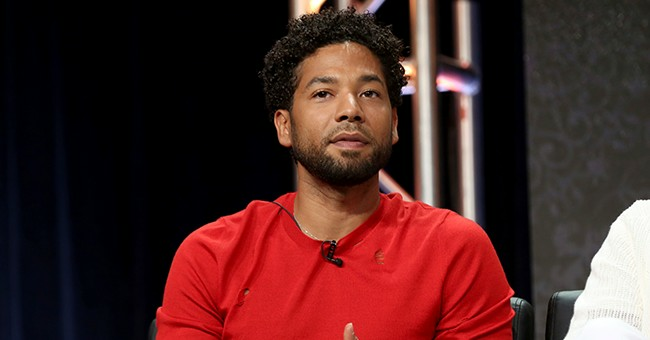 Prominent leftist politicians, media commentators, and Hollywood actors have taken shots at Smollett, who was exposed as blaming a phony hate crime on white Trump supporters and then evaded justice due to his political connections. A miscarriage of justice in the US is hardly uncommon, with many instances offending everyone on the political spectrum. Going from OJ Simpson all the way down to Brock Turner, there are many unconscionable decisions to be outraged over, but Smollett's case is emblematic of a far bigger problem within our society. Smollett is far from an isolated incident, as he is emblematic of a budding hate hoax industry threatening the foundations of our republic. Just in the weeks following Jussie, more fake hate crimes have emerged from the Left. A leftist pastor in Grand Rapids, MI conjured up a tall tale about Trump supporters committing a battery of hate crimes to poor homeless minorities before a rally last week when in actuality it was one of the pastor's flock who made a terrorist threat against Trump. A leftist in San Francisco claimed he was accosted by a deranged Trump supporter this weekend wielding a sword, with a MAGA hat convienently left near a pool of blood for a dramatic photo op. These occurrences are more anecdotal evidence that Smollett Syndrome is overtaking the Left. The epidemic of leftists staging hate crimes to blame their opposition is tearing the country asunder. One single individual was shown to have committed over 2,000 hate crime hoax bomb threats against Jewish centers alone. A database at FakeHateCrimes.org has been updated with over 350 documented instances of hate hoaxes committed by left-wing activists, and making matters worse, there is a network of institutional support behind the hoax artists and other domestic extremists. The 'ends justify the means' ethos that has developed on the Left of militant opposition against President Trump has made them a greater existential threat to the future of America than any foreign terror group. The enemy domestic is far more treacherous than any enemy abroad. The reported totals of right-wing hate crimes in Europe are misreported and overblown as well. While there is a stunning and terrifying increase of anti-Semitism and terror attacks throughout Europe as the result of the Muslim invasion, these totals have been largely attributed to nationalist populists by globalists desperate to cling to power and sweep the real problem under the rug. It is important to note that the vast majority of right-wing populist leaders throughout Europe stand unwavering with the state of Israel while left-wing leaders like Jermey Corbyn are happy to coddle Muslims and demand rights for supposedly oppressed Palestinians. The European Union, with its diversity religion, is promoting more hate and bigotry by kowtowing to Sharia Law than could be caused by any incendiary rhetoric from conservatives. Making matters worse, conservatives give credence to left-wing thought control organizations. While the Southern Poverty Law Center (SPLC) is largely regarded as a scam and falling apart in disgrace currently, the Anti-Defamation League (ADL) has avoided hits to their reputation despite being every bit as hostile toward basic American values as the SPLC. They regularly manipulate data to misrepresent the terror threat of white conservatives, feeding the victim-industrial complex that drives the modern leftist pathology. They even feed biased intelligence to the Federal Bureau of Investigation, which in turn causes them to ignore violent threats to focus their attention on Trump and his supporters. In the meantime, conservatives are made into actual victims by being violently accosted at rallies, fired from their jobs for joining patriotic groups, targeted by online harassment mobs for speaking freely, and deplatformed by Orwellian tech giants who have nullified the Bill of Rights with their digital monopoly. Institutional power fails to do anything except cheer this disgusting process on, and the controlled right-wing will get in bed with these hostile leftist entities if the payout is right while saying tough luck to their constituents as their rights are squeezed. This is the "free market" ideology of Conservative Inc. in a nut shell. The Smollett case will not cause the Left to re-evaluate their actions and their radically. They are only embarrassed because they were caught. They will continue feigning like they are the victim with their hate hoax frauds while being the actual perpetrators of hate, division, and all they project upon the Right. President Trump's legacy will be defined by how he performs on a wide variety of issues such as national security, immigration, trade, the economy, and so forth, but none of those issues will matter much if he does not bring to heel the institutional power behind the modern Left. If these civilizational ravagers are not held accountable swiftly and forcefully for their crime spree, there will be no chance for America to be great again.